Pothole numbers in Surrey doubled this spring, jumping by more than 7,000 in February and March and prompting renewed calls for roads funding reforms. The county council has been fighting for years for the Government to factor traffic levels into its funding formula. In a letter to the Times, Colin Kemp, cabinet member for highways at Surrey County Council, reiterated the plea for extra support considering the high volume of traffic that travels through the county. 'In Surrey, typically about 7,300 potholes are reported to the county council in February and March. This year the figure has more than doubled to 14,900 as rain, snow and ice caused them to appear like daffodils in Spring,' Mr Kemp wrote. 'The Beast from the East and Storm Emma are adding to the problem that our highways already face - the wear and tear of having some of the country's busiest roads means they deteriorate quicker than elsewhere. While the term 'pothole-proof' may be employing a certain dramatic licence, the council has poured up-front investment into asset management for several years to help deliver savings over the long-term under Operation Horizon. 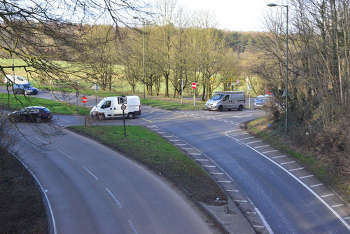 The calls for funding reform based on traffic levels date back to at least 2014, when then deputy leader of Surrey CC, Peter Martin, wrote exclusively for our sister website Transport Network on the issue.